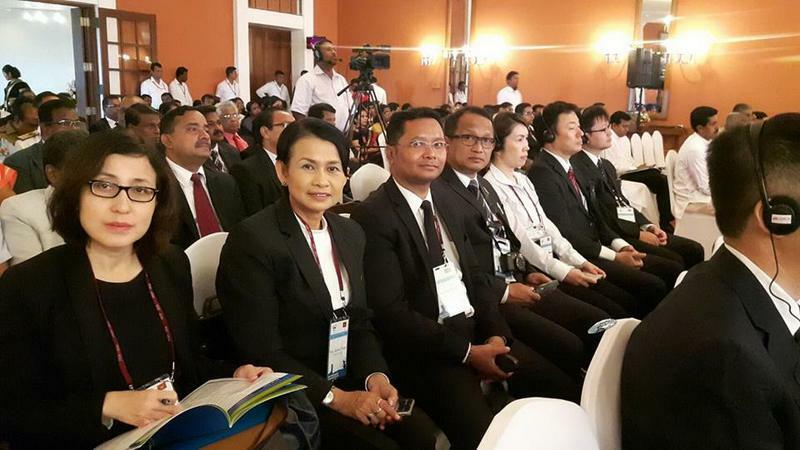 PHUKET: Vice Governor Teera Anantaseriwidhya has highlighted the importance of sustainable tourism for Phuket at the 20th Inter-Islands Tourism Policy Forum (ITOP Forum) 2016 held in Sri Lanka last week. The forum, held on October 24-27, was attended by high-ranking representatives from the 13 ITOP member regions, which includes Jeju, Hainan, Bali, Penang and Hawaii, among others. 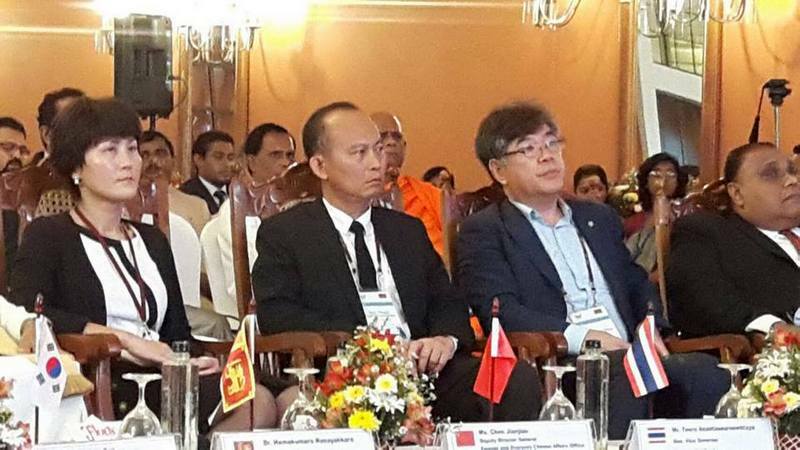 The forum was presided by Hon Dr Hemakumara Nanayakkara, Governor of the Southern Province, a tourism hotbed among Sri Lanka’s eight provinces. 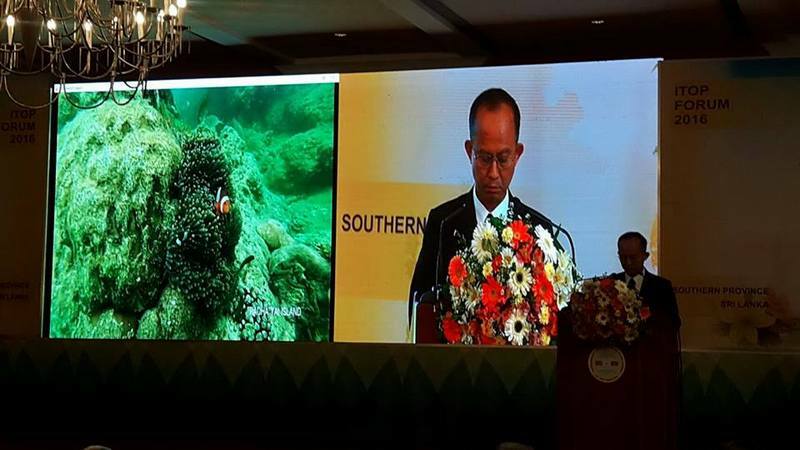 Speaking last Tuesday (Oct 25), V/Gov Teera delivered his keynote address titled “Environmental conservation and tourism of island provinces”. “Phuket fully supports the development of cultural tourism among ITOP members and has maintained good relations with these member provinces,” he said. “Phuket is known for tourism, each year we have millions tourists come for our nature, beaches and cultural attractions. Phuket has a perfect cultural combination known as ‘East meet West’, so we want to develop our tourism side by side with environmental conservation as part of our strategy for 2015-2017,” V/Gov Teera explained. “Our vision is to turn Phuket into a sustainable international tourism destination. We want to promote and develop tourism together with environmental conservation, such as the preservation of the Phuket Old Town and the creation of a new tourism attraction by focusing on better environment, such as at Surin Beach. “We will bring the public in to help us promote natural resources and improving environmental campaigns, such as promoting using bags made out of cloth instead of plastic and widely promoting beach-cleaning projects,” he said. The Smart City policy will also play a part in Phuket’s sustainable tourism future, V/Gov Teera added. “Phuket also has a Smart City project which in the future will help us reduce our energy consumption,” he said. “We have many projects to help develop a healthy environment for our future. Our goal of being international tourism island that will last is to manage our environment side by side with the ever-increasing demands of development, especially tourism development,” V/Gov Theera noted. “ITOP’s goal is to promote tourism and to exchange ideas and cultural insight among members so we can help each other develop our countries,” he concluded. Phuket, Thailand's sole island province, has been a member of ITOP since 2008. "Life Goes On" is the new tourist industry slogan- that'll sure reel 'em in. Certainly illustrates how completely out of touch authorities are with foreigners. I now truly believe Caucasian visitors are no longer welcome. Yes. As long local thai people who become a local authority not want to understand international tourism, tourism they want to earn money from, but not feel to study what international tourism means, that long Phuket will go to be downgraded. Why? Simple, in other surrounding countries they more open to international tourism. Ed Sanders and Skip, you have both hit the nail on the head, I couldn't agree more!! Better environment such as Surin beach, with pipes releasing untreated water into the beach water? Promoting use bags made of cloth instead of plastic? Why than not first stop plastic bag providing at shops? Widely promoting beach cleaning projects. What promoting? Do it, start cleaning beaches, now..